Thinking about hitting the beach and enjoying the cool climate of the mountains at the same time? Well here in Davao City, you can do that without wasting your time on the road. If you're planning to visit Davao, this one-of-a-kind 3D/2N itinerary will truly help you in your adventure. Welcome to Davao City, famous for its green landscape and disciplined citizens. As one of the fastest growing cities in the Philippines, Davao offers a vast array of choices that one can really enjoy - food, shopping, adventure - you name it. Here is my itinerary to all the things quintessentially Davaoeño without spending more than three to four hours on the road just to reach pristine white sand beaches or mountain resorts. Taking the first flight to Davao is the best choice. Flights from Manila, Cebu and Iloilo usually arrive at around 5:30 AM to 6:30 AM. Upon arrival, take a cab to your preferred hotel. Feeling adventurous? You can opt to ride the jeep to the downtown area. After checking-in at your desired hotel, head straight to Entrée, located inside the Apo View Hotel wherein you can enjoy sumptuous and unlimited breakfast meals. Mind you, every cents and calories count at Entrée! Now, you're full. Walk for like 10 to 20 minutes around the hotel's lobby. Don't worry, the hotel personnel won't bother you... unless you're Anne Curtis or Manny Pacquiao. 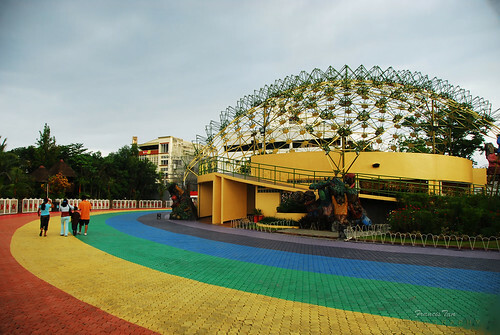 Then, take a cab and visit Davao Crocodile Park, our first destination. Aside from these crocs, you can also have close encounters with monkeys, wild cats, tigers, ostriches and a whole lot of fauna. 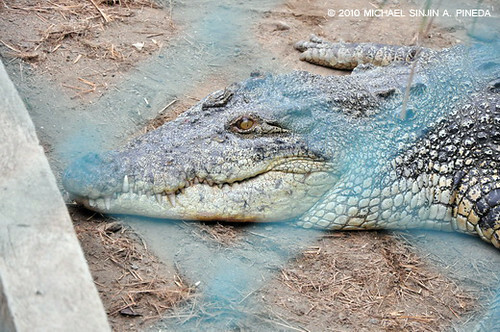 For lunch, try their specialty - crocodile meat. It's very delicious! I ain't joking here! Next stop: Philippine Eagle Nature Park located at Malagos, Calinan, Davao City. And you have no choice but to take a cab. It's an hour away from downtown. But if you have friends in Davao who own a car and know how to drive, then solb na problema mo te! Fast forward... tada! 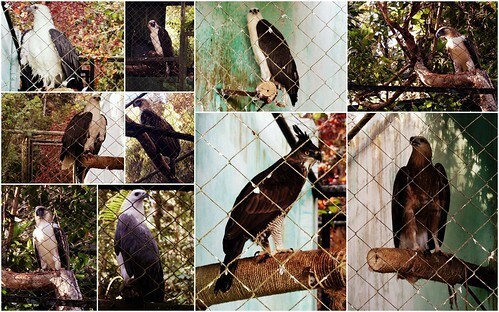 Welcome to the Philippine Eagle Nature Park, home to a number of endangered species endemic to Mindanao! The Philippine Monkey-eating Eagle (Pithecophaga jefferyi) has been a symbolic icon for Davao. Known to be an endemic species of Mindanao, this carnivorous bird is on the verge of extinction. That's why, Ornithologists and some NGOs (Non Government Organizations) decided to put up this park in the late 80s to protect them from illegal loggers and poachers. Researchers have already been successful in breeding these endangered birds and had already released a number of eagles in the wild. Enough with the birds and other wild animals! Fly (LOL fly talaga) to Eden Nature Park and enjoy its cool climate. Spend at least two hours there before you go back to downtown Davao. And oh, why not try their fresh vegetable salad bar! Eden Nature Park grows their own vegetables and yes, they're all juicy and yummy. BTW, I don't vegetables but I love Eden's homegrown veggies. And oh, don't forget to ride their zipline and Indiana Jones ride! Dinner time! Now you're back at downtown area. Dine at Taklobo Restaurant of Jack's Ridge located at Shrine Hills, Matina. The restaurant offers a panoramic view of the whole city, as well as Samal Island. Plus, they serve delicious food too! Nomnomnom to death! Now, hail a cab, go back to your hotel and have a good night's rest... 'COZ TOMORROW WE'LL HIT THE BEACH! Seven a.m., waking up in the morning. Gotta be fresh, gotta go downstairs. Gotta have my bowl, gotta have durian pies. Seein' everything, the time is goin'. Tickin' on and on, everybody's rushin' Gotta get down to the boat stop. Gotta catch my boat. I see my friends! After eating your bowl of cereal, Drive yourself to Sta. Ana Wharf and visit Paradise Beach Resort of Samal Island. The good thing here is that, Samal is only 20 minutes away from Metro Davao. It's a Saturday, thus it's naturally filled with local and foreign tourists. Take a dip for at least 2 hours and stay there 'til lunch time. Enjoy the view. Relax. Unwind. And EAT, of course. Feeling adventurous? Ride a habal-habal (you'll definitely love this unique way of transportation) and visit the Monfort Bat Caves, the largest colony of fruit bats in the whole world! Entrance fee - Php 40. Not bad! Did you know that an islet off Samal Island disappears during high tide? Visit Samal's Vanishing Island. From the Monfort Bat Cave, you can rent a small boat to that beautiful island at a reasonable price! Or better yet, brave the strong current of Davao Gulf! Lol, jazkeeding! Vanishing Island at high tide! The tides are starting to get high again, and we're holding on! I'm gonna be your number one! It's time to go back to the main island. Ride a barge from Babak Port; it will take you back to the city. Upon arrival, visit the Statue of David at Matina Aplaya which is five minutes away from SM City Davao. It's a replica of Italy's David! Oops, I almost forgot. Your stomach's grumbling na pala! Why not try eating at Colasas, Davao's first and still the undisputed number one barbecue house of the city. After stuffing your stomach with unlimited rice and juicy chicken, pork and seafood barbecue, head straight to Matina Town Square and party all night long! Just remember that selling alcoholic beverages beyond 2AM is prohibited, as well as smoking in public places. Kapag nayoyosi ka na, better ask the store owner first before you light up your cigarette. Violating a city ordinance is punishable by law and fines can reach as high as Php 10,000. Day 3 - So long, farewell. After eating your breakfast, freshen up, pack your things and leave the hotel. BUT BEFORE THAT, we'll visit a few notable places in the city. Visit People's Park and be amazed with the statues made by Davao-based artist, Kublai Milan. By the way, he's the same person who made and designed the durian-with-kids statue in front of the airport terminal. And oh, if you are planning to buy pasalubong for your family and friends, Aldevinco Souvenir Shop is the place to be. It's located in front of Ateneo de Davao University along Roxas Avenue. You can buy various stuff from this shop - sarong, shirts, malong, and a whole lot more! Day 1: You conquered Davao. Day 2: You swam all day and partied all night. Day 3: You bid farewell and shed a tear. Davao is indeed one of the best destinations of Philippines. Three days and two nights seemed short but you can actually visit and experience all kinds of adventures within that span of time! True enough, life is indeed HERE in DAVAO! This is my entry to the Pinoy Travel Bloggers’ Blog Carnival for the month of January 2012 on the theme “3 Days/ 2 Nights” hosted by Eileen Campos of Possibly Pinay. i think i did most of that na except the eagle park.and sa 3mipllion times i passed by people's park, it counts na din! i miss davao! great place to be! great place to live! Gusto ko magcity tour sa Davao.=) Hanapan mo ko Renz ng murang accommodation ha . @Renz: Eto na ang itinerary for our show!! @Eileen: was supposed to make an itinerary summary talaga, as in yung schedule like what Lauren did... pero tinatamad ako eh, kaya ayun. HAHAHA! 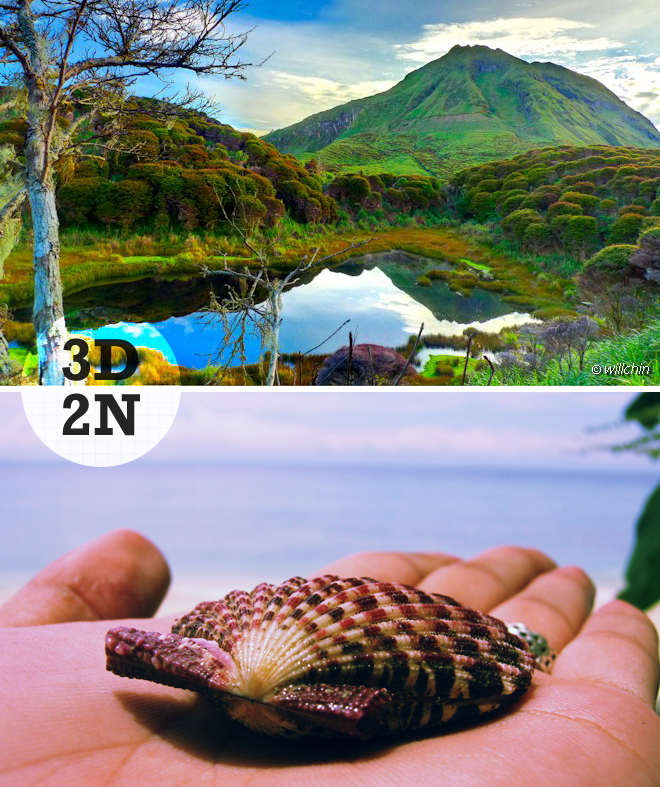 nice to featured a 3d2n for davao. when i first visited davao it was like "this is my kind of city" experience. linis and the accessibility of a nice beach. after that, i believed that it's an adventure city. kaya tamang balikan to sa marso. ngayon ko lang nakita yung vanishing island. Daddy Dong! Excited na kami to climb Mt. Apo! @Ian - Hoooooy kailan ka ba pupunta ng DVO? I went to Davao last month and had almost the exact same itinerary over the same number of days! Down to Matina at night! Ako nang late magpost ng comment sa sumali sa carnival -- sorry naman. Wootwoot! I love your batcave photo, first time kong nakita inis na ako nyan kasi hindi ako makakuha na hindi blurred. Haha! Naku, medyo mahirap talagang kunan ng litrato mga bats because they were so malilikot like yeah! The first pic - is that Mt. Apo? I wanna visit the batsssss! How about a 30-day itinerary Renz? Hehehe. Tapos karamihan din gagawin din ata sa DFAT. Ano pa ang magagawa ko? Hahaha! Side trip sa Kapatagan and Sarangani Province!!! Great post! Really helpful. Just wondering if I can do all those alone. Haha. I've been lurking around your blog since this afternoon and I just can't resist but to comment this time. I'm heading for Davao this coming March and this IT's gonna be a great help since I'd be travelling alone. Though naa koy amigo to accompany me once in a while during my stay there, it'd still be good if I'd know where to go since my time is limited. One more thing, I've been searching over agoda some hotels that can fit my budget and I saw this North Zen Basic Spaces hotel. 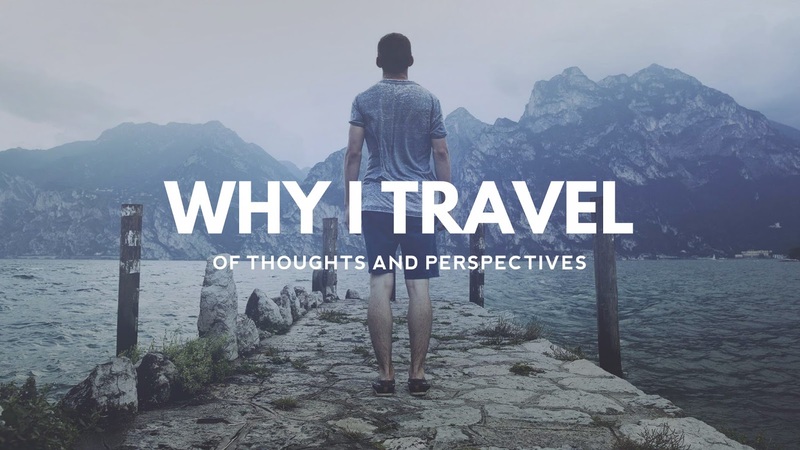 If you know anything about this one, would you recommend this to a solo traveler? Or if not, what budget hotels can you suggest, you know, without setting aside comfort and satisfaction despite the meager rate. Hehe. I will go to Davao tomorrow night (alone) and planning to go to Camp Sabros in Kapatagan on Friday and Samal Island on Saturday. Great post! Keep it up! I'm at Davao several times a year. Do visit my tita's restaurant, Bistro Rosario :) The margarita there is a perfect nightcap. 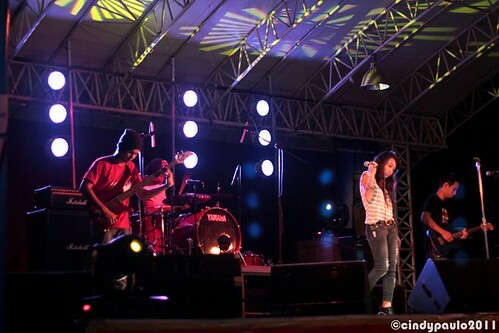 It's More Fun in Davao!